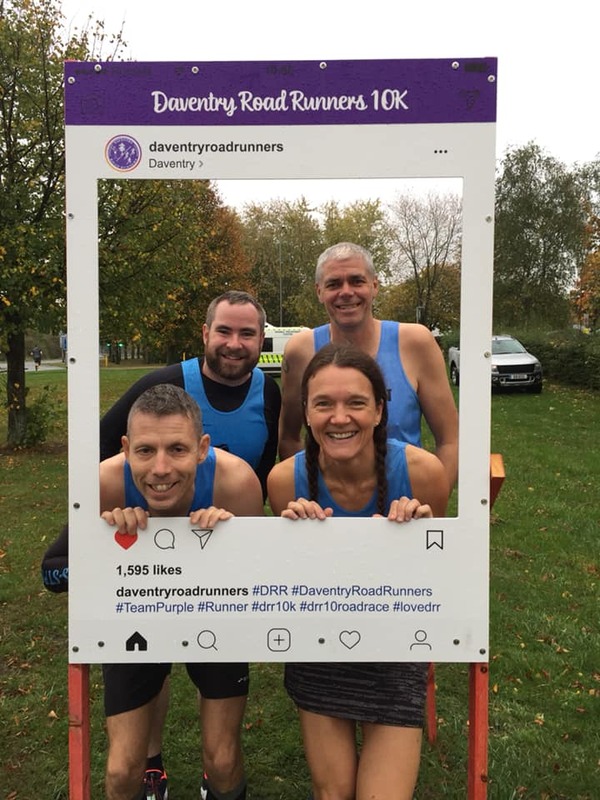 Four of our runners tried out the inaugural Daventry 10k. Nick Rowles led the team with a swift 39:29, followed by Damon Bland in 46:23 and Fiona Betts soon after in 46:57. James Hammond finished the race in 58:30. Despite the horrendous weather conditions all were impressed with the organisation and will recommend it for next year. At the Simply Health Great Birmingham run 4 runners were there to represent Ivanhoe, with Alistair Burgwin leading in 1:22:59, a new personal best by 3 minutes and an impressive 70th place for this busy race. Richard Fernandes was next over the line with 1:36:17, then Chris Osbourne in 1:45:34. Sophie Turner ran her debut half marathon, and drawing support from the crowd made it home in 2:40:02. At a slightly warmer Palma half marathon, James Cox finished in 1:49:08, while Teresa Talbot had a good run to finish in 2:03:40. Andy Lindley ran the full marathon, just a week after Chicago and still managed an impressive 3:46:00.